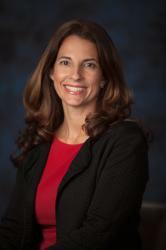 Can provide a framework for organizing, planning, and studying information. Can record meeting information in a quickly digestible and easy-to-recall format. Co-written by VizThink CEO Tom Crawford and Brandon Hall Research Analyst Tom Werner, Visualization in Learning: 14 Case Studies That Emphasize Visual Thinking explores the use of visualization in brainstorming and discovery; organizing, planning, and designing; communication and persuasion; and measurement. 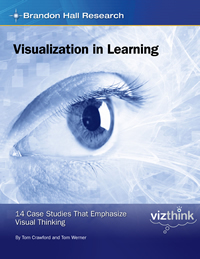 This report contains 14 case studies and dozens of images showing how visualization is being used to improve learning.